The CXE880 optical node is an ideal solution for cases where high performance and cost effectiveness are a demand. 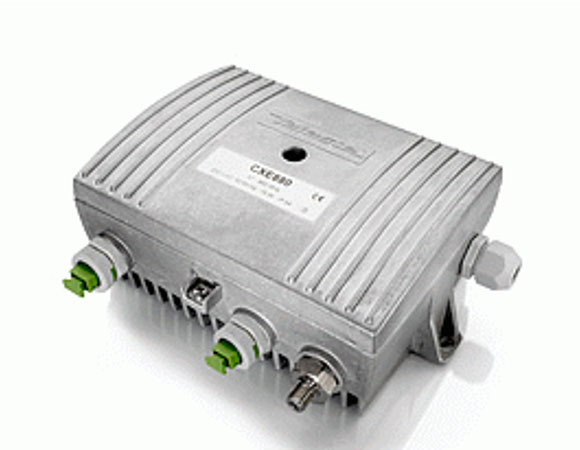 It fulfills requirements such as 1GHz frequency band and 85/108 MHz return split. Alignment of the node is easy and no external plugs are needed. Fibre connectors are situated at the housing wall, enabling quick installation.